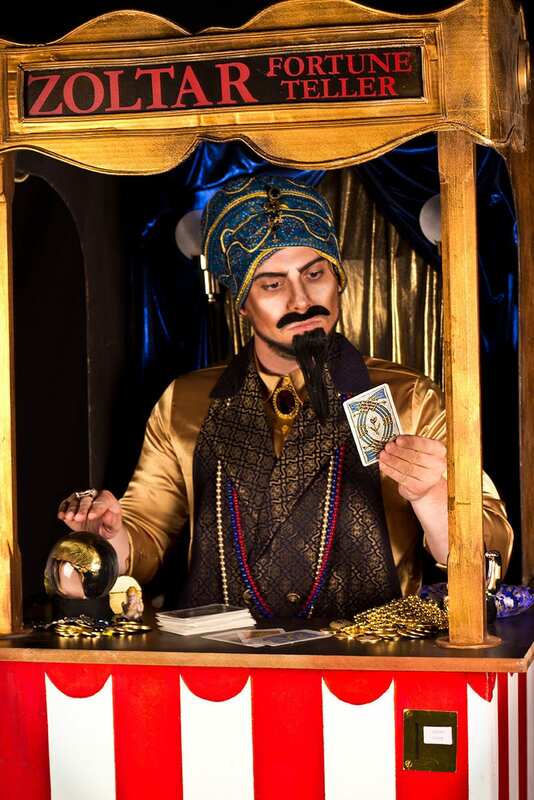 Be amused and amazed by the almighty Zoltar and his comical fortune telling. 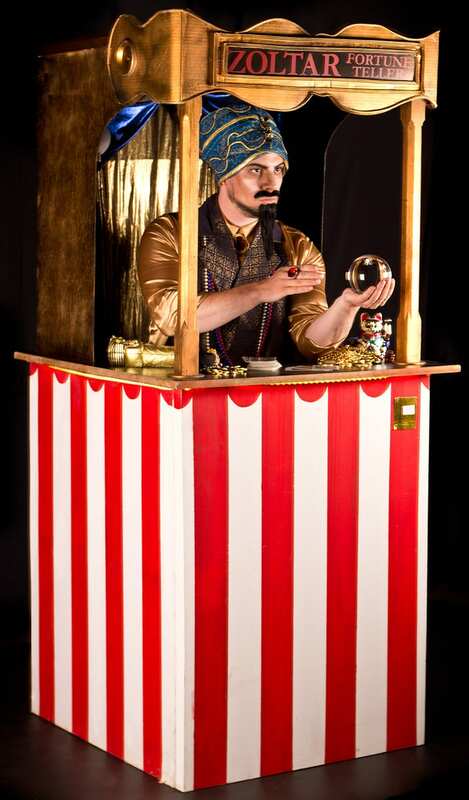 A fun and surprising act that your audience will want to keep visiting time and again, his crystal ball may turn into a contact juggling spectacle in between his wit and automata interaction. 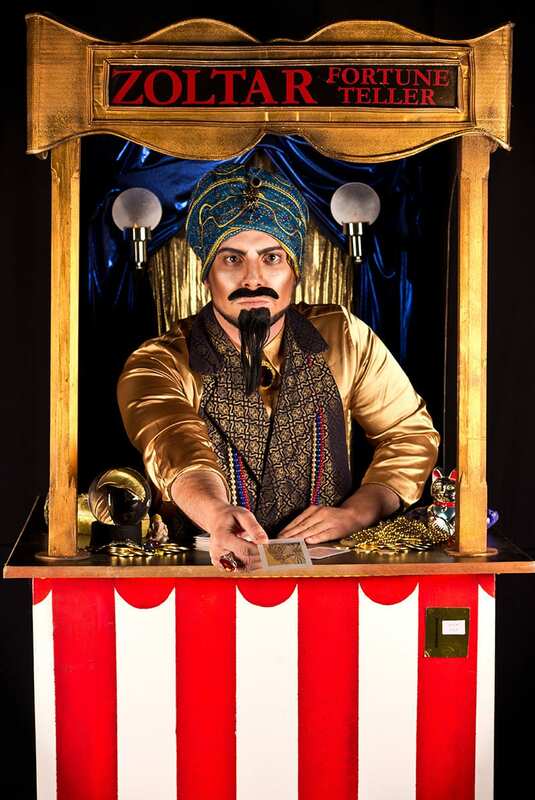 A static act that easily fits into indoor or outdoor spaces, Zoltar is a beautiful living box of wonder inspired by the classic arcade attraction.